A light-filled, expansive lobby and attentive greeters welcome patients and caregivers at MSK Westchester. From screening and surveillance to treatment and survivorship, MSK’s newest outpatient treatment center brings our expertise to patients in New York’s Westchester County and surrounding communities. Its gleaming exterior is just the beginning. MSK Westchester — a 114,000-square-foot facility that’s home to a staff of 140 cancer surgeons, oncologists, radiologists, and other healthcare professionals — is a modern, intuitive space designed to maximize patients’ comfort. No detail has been overlooked: Amenities include valet parking, Wi-Fi, a grab-and-go fresh food counter, and a peaceful outdoor garden. 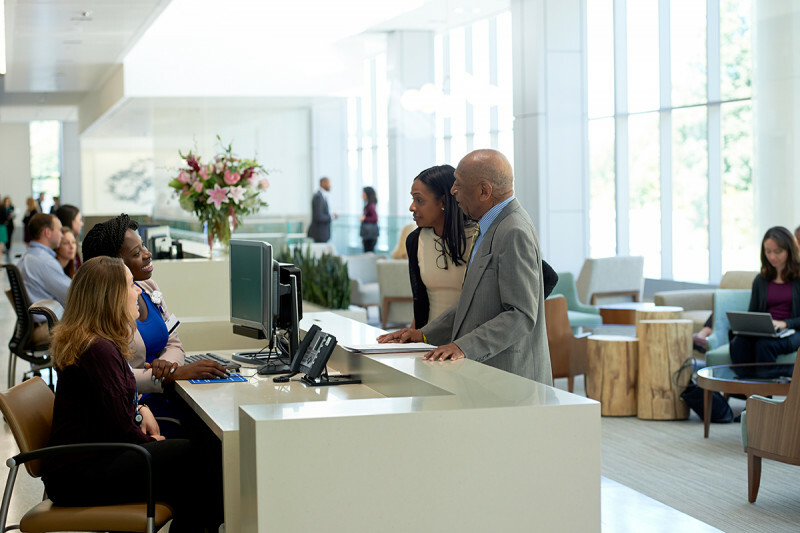 Take a virtual tour of our suburban outpatient location and hear from our doctors on the benefits of receiving care at MSK Westchester. 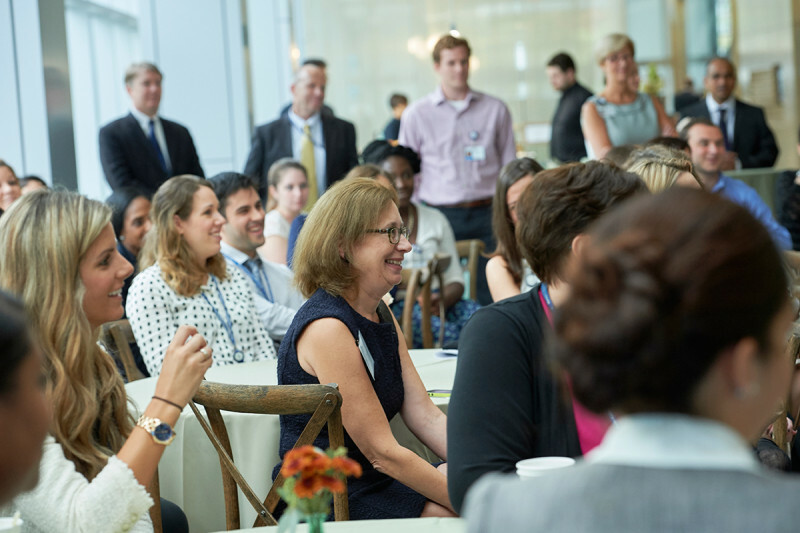 MSK has been serving residents in the Westchester area since 1995 at our facility in Sleepy Hollow, New York, and MSK Westchester will allow for even more residents to access our care. Our other outpatient locations in Basking Ridge, New Jersey, and on Long Island in Commack, Rockville Centre, and Hauppauge complete our suburban network. MSK Westchester provides care that is exactly the same as patients would receive if they were treated at any other MSK facility. Specialized disease management teams offer diagnostic, treatment, and support services to people with a range of cancer types, including breast, gynecologic, gastrointestinal, lung, and urologic cancers. MSK’s world-class surgeons are on-site to provide all pre- and postsurgical care, and patients receive the latest chemotherapy treatments and the most advanced radiation therapies. Gynecologic oncologist Ginger Gardner (right) cares for women with cancers of the reproductive organs at MSK Westchester. “If we can decrease the burden of travel, patients will spend less time commuting and more time in the comfort of their own homes, which is important in the healing process,” explains Richard R. Barakat, Deputy Physician-in-Chief for MSK’s Regional Care Network and Cancer Alliance. Other offerings for patients include genetic counseling, nutrition consultations, and social-work support. 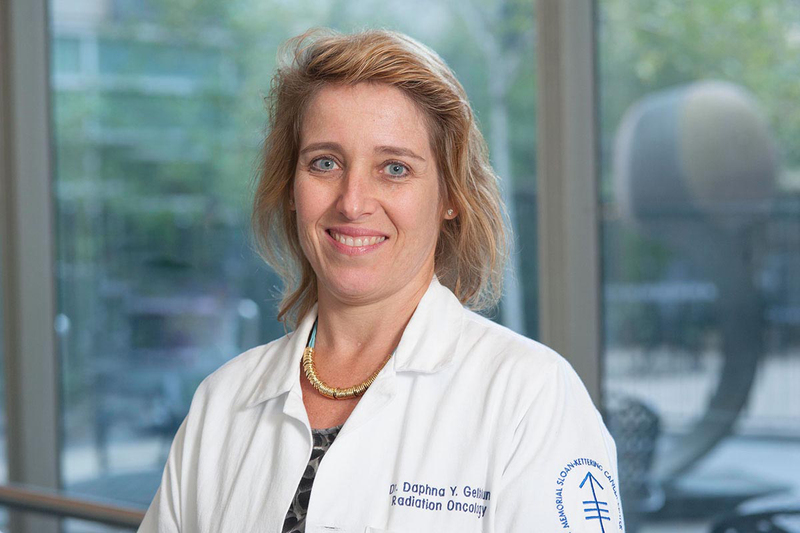 And a wide range of clinical trials — including early-stage studies of novel targeted anticancer drugs, specialized on-site staff, and dedicated lab space — allow patients to receive new treatments and schedule their follow-up appointments at MSK Westchester. Chemotherapy nurses Alexia Taylor (right) and Annie Lavelle are part of the multidisciplinary treatment team at MSK Westchester. In addition, MSK Westchester provides a spectrum of sophisticated imaging technologies including MRI, CT, PET, ultrasound, and mammography for the diagnosis and staging of cancer, as well as a state-of-the-art radiation treatment planning and delivery system with two linear accelerators (the machine that creates the high-energy radiation used to treat cancer). A team of MSK interventional radiologists perform breast biopsies and place ports to deliver chemotherapy, among other specialized procedures. From the moment patients and caregivers enter MSK Westchester , their experience is designed to be as streamlined and stress-free as possible. 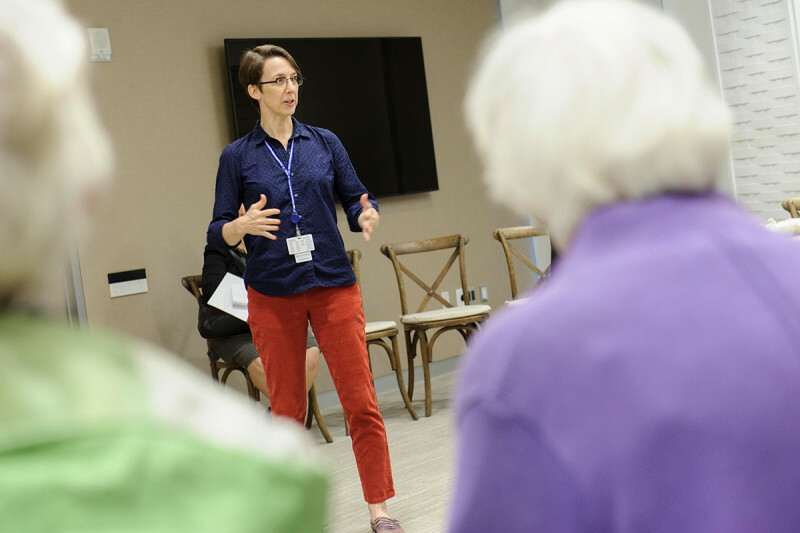 Breast cancer patient Kelley Hebert spoke about the convenience of MSK Westchester in West Harrison for residents of the Hudson Valley and the surrounding area. 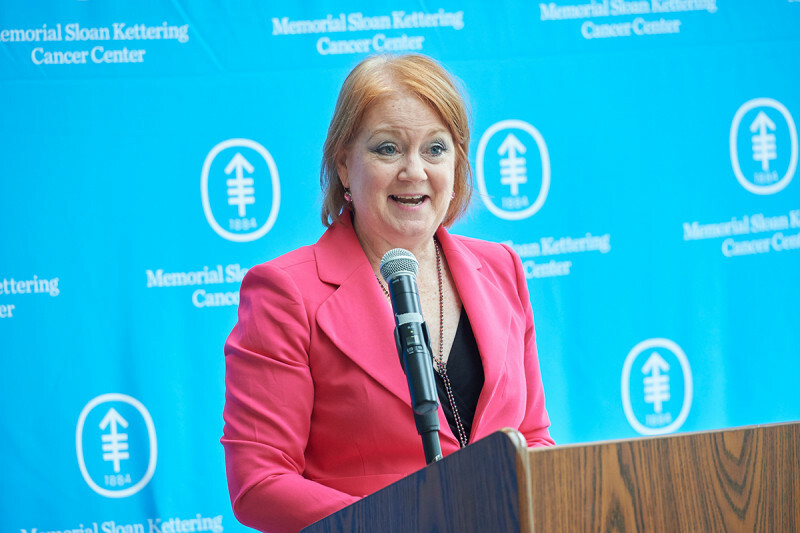 She has her first appointment at MSK West Harrison with her medical oncologist, Chau Dang, in November. 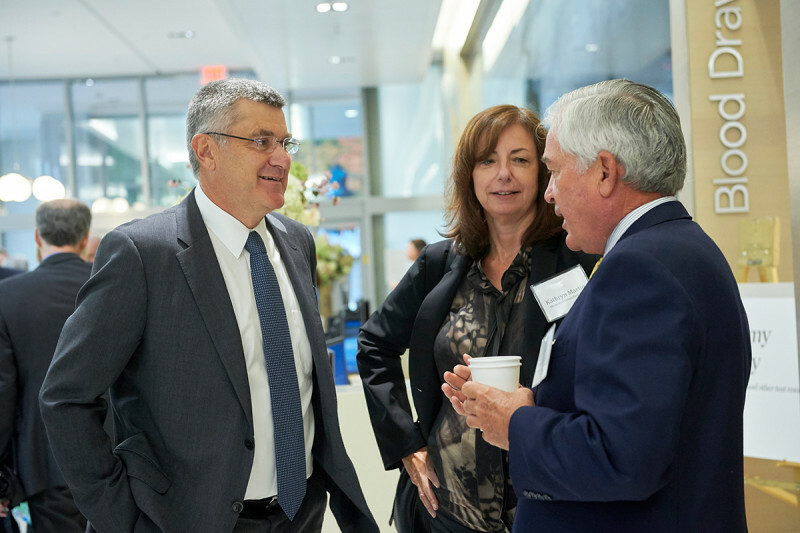 Louis V. Gerstner, Jr., Honorary Chair of MSK’s Boards, chatted with President Thompson and Executive Vice President and Chief Hospital Operating Officer Kathryn Martin during a reception following the ribbon cutting. MSK Westchester in West Harrison staff, including Administrator Nancy Diamond (center), shared a few laughs during the conversation with Dr. Thompson. 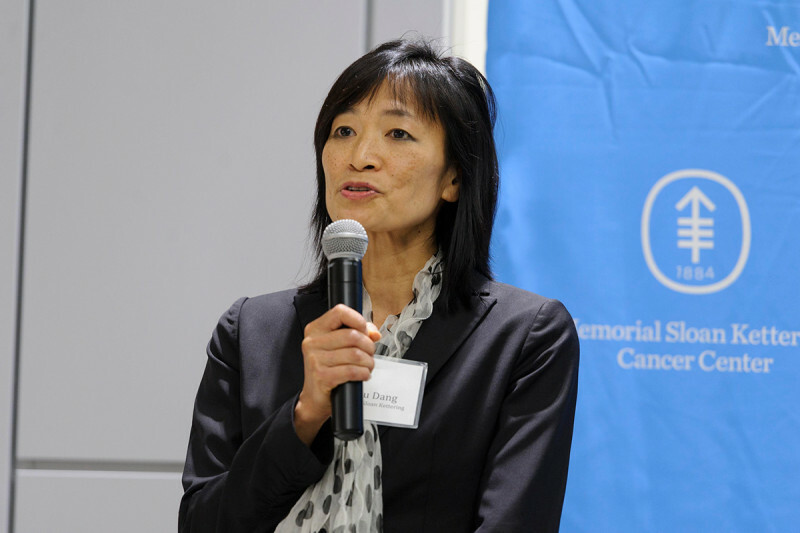 Dr. Dang, chief of medical oncology at MSK Westchester in West Harrison, welcomed community members to the new facility during an evening open house. Dr. Dang lives in Harrison with her family, and will continue to see patients in Manhattan one day a week. 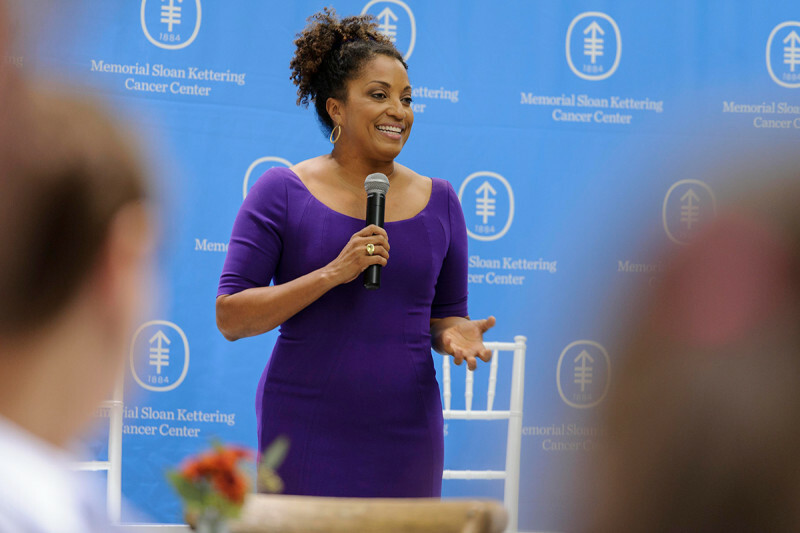 TV personality, author, and Westchester County resident Rene Syler spoke to the nearly 200 open house guests about her decision to have a prophylactic mastectomy with reconstruction at MSK. Her plastic surgeon, Joseph Disa, sees patients for surgical consultations at MSK Westchester in West Harrison. 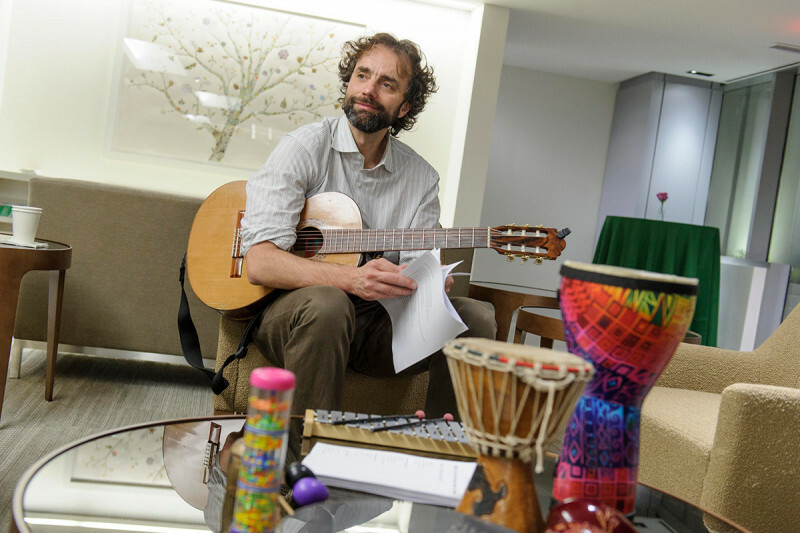 Alessandro Ricciarelli, a music therapist on the Integrative Medicine Service, invited guests to experience the relaxing benefits of music therapy in the lobby of the lower concourse. Massage therapist Kriota Willberg drew a crowd in the media room with her demonstrations of massage techniques. The media room provides ample space for support groups and community events. One aspect of that added convenience is an innovative partnership with the nationally recognized multispecialty Mount Kisco Medical Group (MKMG). 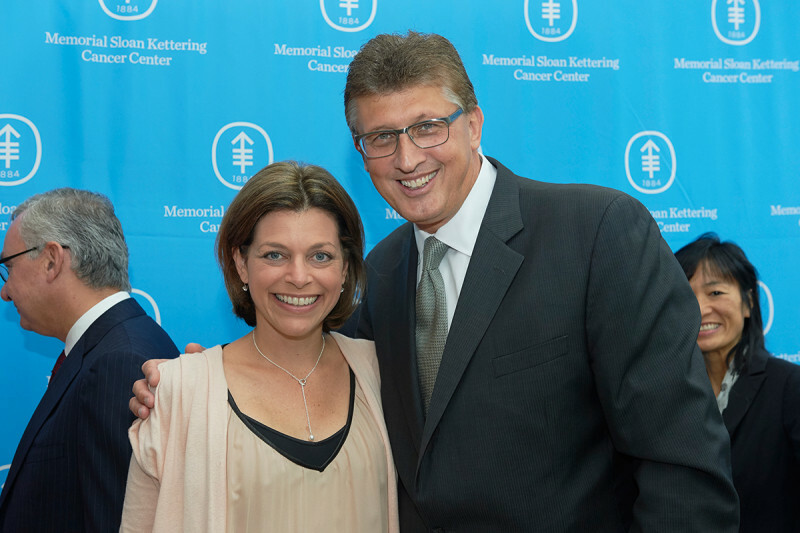 Patients receiving treatment for cancer at MSK Westchester can make appointments with MKMG physicians for non-oncology care, including cardiology, gastroenterology, gynecology, infectious disease, and internal medicine services — all without leaving the building. The new facility also uses technology to add another level of comfort. A special tag given to each patient upon check-in uses real-time GPS technology to pinpoint where a patient is sitting, whether in a common area, a waiting room, or even in the outdoor garden. This allows people to move freely around the campus before seeing a physician or receiving a test result. Private chemotherapy suites are flooded with natural light and have ample space for visitors. Patients can control the room temperature and lighting, and each suite has individual entertainment devices that can be used to video chat with friends during treatment, order food from local restaurants, or watch educational videos on health and wellness. A number of MSK clinicians will divide their time between our Manhattan campus and MSK Westchester in West Harrison, seeing patients in both locations.